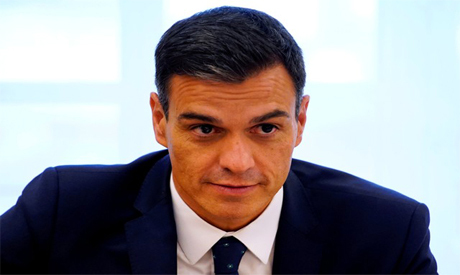 Spanish Prime Minister Pedro Sanchez published the results of plagiarism tests on his doctoral thesis on Friday in response to pressure over alleged academic misdemeanours which have buffeted the country's politics. On Friday, the Prime Minister's Office said testing showed that Sanchez's work complied with academic consensus on plagiarism rules and verification protocols. His Socialist government holds only 84 of 350 parliamentary seats and his party can ill-afford any loss of support along partisan lines as he seeks to drum up backing for next year's budget. Sanchez has said he aimes to remain in government until the end of the term in 2020. Just three days ago, Carmen Monton resigned as health minister after reports of irregularities in how she obtained a master's degree. Monton denied the reports but said she was stepping down to avoid damaging the government. The head of the opposition People's Party, Pablo Casado, is now under increasing pressure to publish details of his own degree, which the High Court ruled last month had been awarded in dubious circumstances.